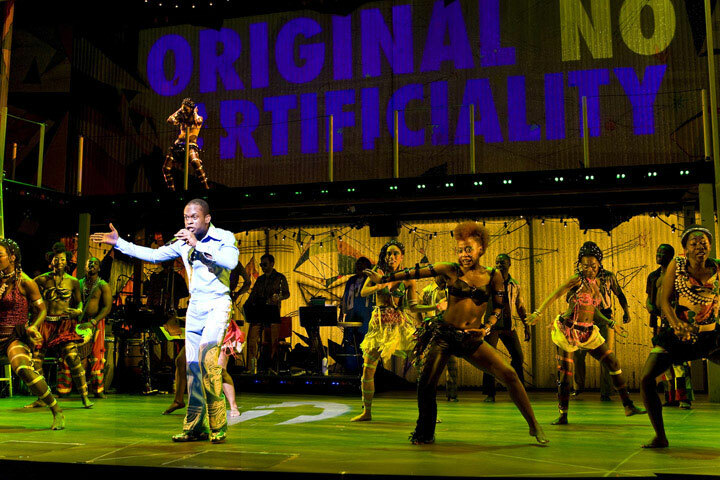 The first act of Fela!, about the late Nigerian musician Fela Anikulapo-Kuti, is a dance concert with political pretensions – a celebration of Kuti’s Afrobeat sound without any clear articulation of who he really was or why you should care. And to me Fela! felt like coerced celebration – the kind of communal happening where you’re ordered to get on your feet and feel conspicuous if you do not. But good theater to me is showing, not telling, and I don’t like being hit over the head. I left at intermission. Here’s an interesting combination of commentary from the New York Times’s two main theater critics: Ben Brantley, who loved the show, and Charles Isherwood, who had serious political misgivings. Isherwood’s column is followed by 150 or so comments, many of which miss his points entirely but a few of which are quite astute. All are worth reading. This entry was posted in Broadway, Critics, Dance, New plays, New York theater, Uncategorized. Bookmark the permalink.